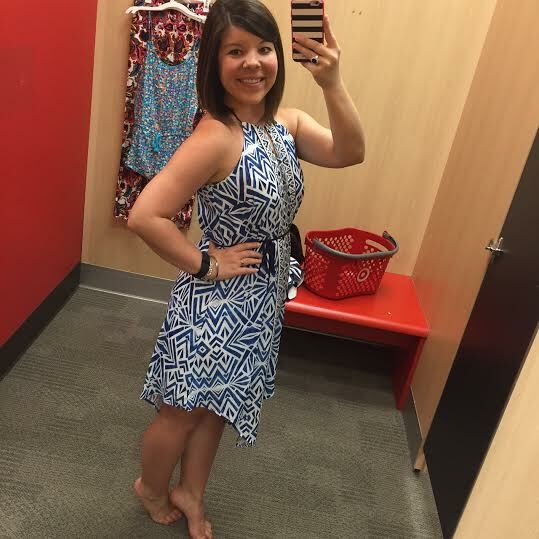 Just popping in on this sunny Tuesday to share another round of fitting room snaps with you! 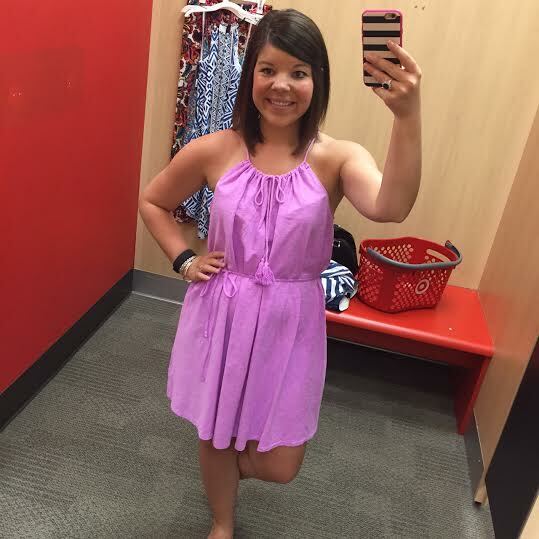 This past weekend I was able to stop by Target and actually had a few minutes to try on their cute new arrivals (rather than just trying to get some errands done). I’ve got some great goodies to show you! 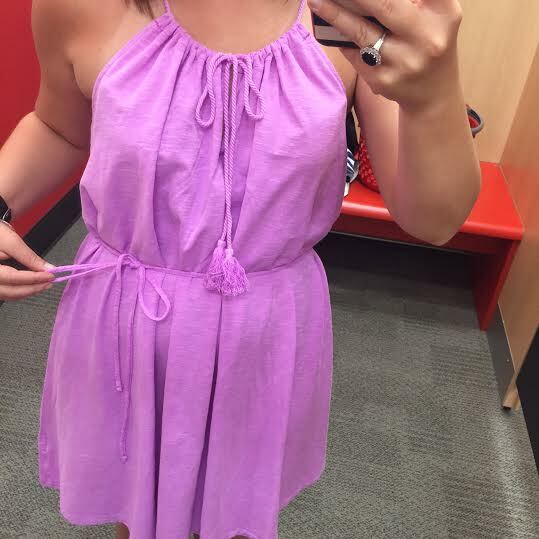 Merona Halter Easy Waist Dress ($24.99)- I’m totally loving this violet color- it’s such a beautiful shade! This is the easiest material, super comfortable, and perfect for the hot weather ahead! I tried it on in a medium, but it’s a little too oversize in the arms, so I’m going to order online in a small (my store was out unfortunately). I totally recommend this dress! 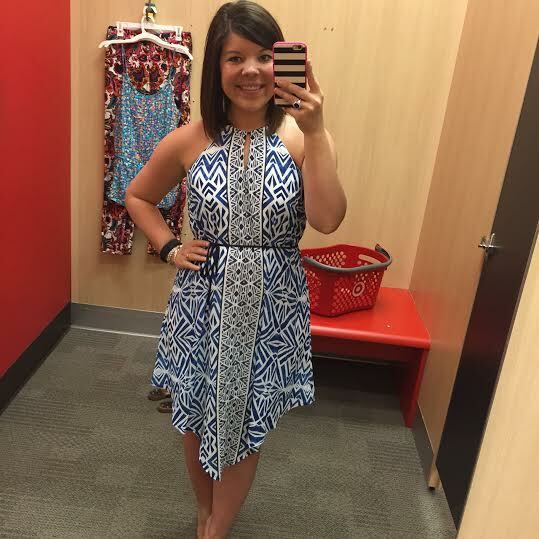 Printed Halter Top Woven Dress ($27.99)- I’m not 100% sure I’m in love with this inverted handkerchief hem, but this pattern is beautiful and the dress fits like a dream! I think this would be perfect for any of those upcoming beach trips you may have- the is the ideal dinner dress. I tried it on in a small and it was perfect (for reference I’m a 6/8 in bottoms)!